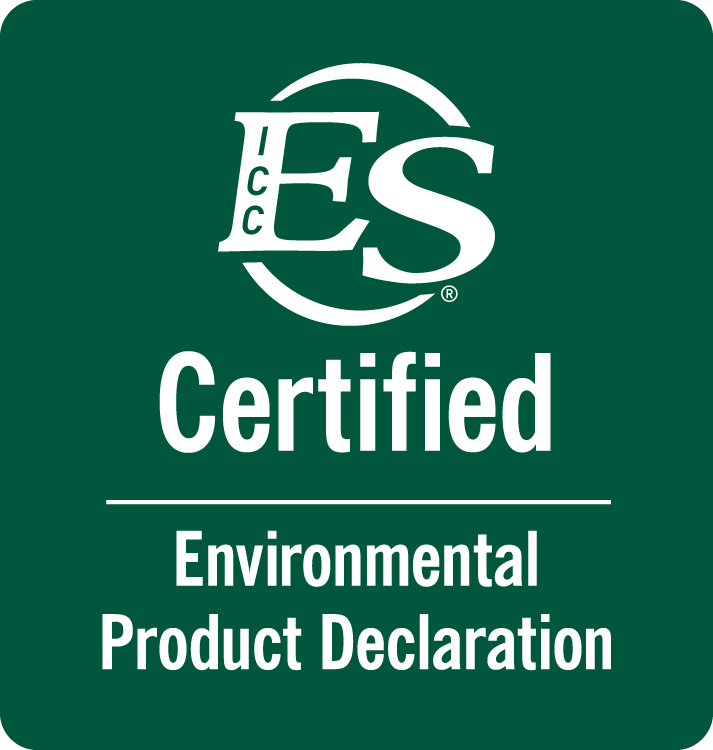 Environmental Product Declarations that have been verified as conforming to the requirements of ISO 14025 in accordance with ICC-ES EPD Program Instructions are issued an ICC-ES Environmental Product Declaration (EPD) mark, which is displayed in the EPD. Use of the ICC-ES EPD mark in promotional materials is optional, but when the mark is displayed, the manufacturer must follow the procedures specified in the EPD agreement between ICC-ES and the client. The EPD mark represents compliance with an environmental declaration standard and should not be construed or misrepresented as equivalent to an ICC-ES Evaluation Report (ESR), PMG Listing, or VAR Environmental Report for code compliance.